A few years ago I was living and working in central London, and enjoying most of what London had to offer. 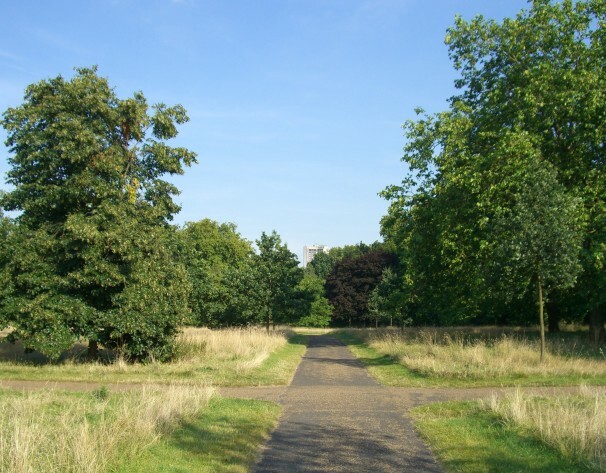 Every (week) day I walked to work across Hyde Park, and had to cross Park Lane at the traffic lights at Upper Brook Street. These lights are very long, so I used to ask for the timing to be right each day so that I arrived at just the right time for me to cross all the way to the other side. And this is what happened – perfect timing to cross almost every time. And I said, “thank you” after. But if I forgot to ask, a long wait. I didn’t realise it, but I was asking my guardian angel. This is a topic of another blog. But a small start towards spirituality. Being bored with jogging, I bought some roller blades and while practicing in Hyde Park one morning had a spectacular accident, and landed on my hip. I was limping around and walking with a stick, and it wasn’t getting better. Physiotherapy helped, but after many consultations with doctors, and many x-rays and cat scans the best they could suggest was a hip replacement. But these only last 15 years, so I would have to have several operations throughout my life. At this time I discovered acupuncture, and it was the first treatment that really helped and gave me hope. But it was expensive to continue for too long. Soon after I moved to Malaysia, hoping the tropical climate would help. The type of acupuncture I was receiving was not available in Penang. 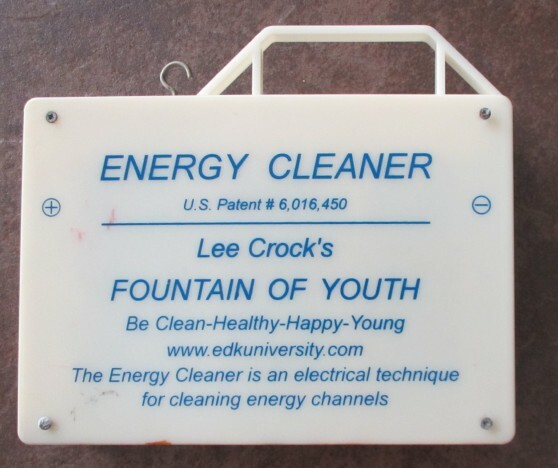 Then I heard a gentleman called Lee Crock talking on a podcast about an electrical device he sold called an energy cleaner. I corresponded with him a couple of times, and he said I could do the same with my hands as with his machine, but the advantage of his machine is that it requires no effort – and it can be used while sleeping, too. I tried the procedure with my hands, and it worked, so I bought the machine and used it for a few months several hours a day – and still do now, several years later, while sleeping. I still use the procedure with my hands sometimes. I recently learnt he passed away, about two years ago, in 2010, and his web page no longer exists. Anyway, I gradually got better, and returned to normal. I could walk properly, and even run. So, now I had found that I can use my hands to heal, and also a small electrical device. Then a friend told me of some Reiki classes I could take locally, so I took several classes in 2010, practiced, and became a Reiki master. This is using universal energy for healing, and I use it on myself and on friends. Mostly I use it remotely – it doesn’t matter where your subject is – with you, or 10,000 miles away. Now I use it every morning, before I start the day. Listening to another podcast while making a trip by car in Malaysia I first heard Dolores Cannon talking about past life regression therapy.Podcasts, web page The purpose of life is to experience – and while alive to help others. You have perhaps 600 to 800 lives, until you have experienced all and have learnt what is necessary, and worked out the karma you have accumulated, and then you ascend, and no longer need to do this. If you did not live a good life, then you will have more karma to work off in following lives. Reincarnation is part of Buddhism and Hinduism, and was part of the doctrine of early Christianity, it is said, and in some groups it was still espoused a millennium later. See p14 for reference to reincarnation. Dying is not a scary thing. There is no hell. You don’t suffer when you die, but go to a nice place accompanied by someone you know, see people and pets who have passed away that you’d like to see, and pass time very pleasantly.You review your life and what you learned. At some stage you need to go into another life, and before doing so make a “soul contract” on how you will pass the next life, and when you will die etc. Your soul goes into a body at birth, at which time the “veil” comes down and you cannot recall past lives, your contract, or anything. But you have free will, and you don’t know your soul contract, so you may or may not more or less fulfill the contract during the life. There is karma you have to work through. And in some lives you will be a good person, and in others a bad person. You will have lives where you are rich, others where you are poor, etc. This gives a different slant on life. If someone is evil or does you wrong it is not up to you to punish them – they will have to work off the karma by doing good either in this life or a future life(s). If you envy someone something, you can think it’s just their turn to experience having that appearance, talent, wealth or whatever it is. schizophrenia, and can’t so easily be used for children. So I did a course with Dolores last year. I have degrees in psychology, and have done hypnosis in the past, so it fits in nicely with my background. So now I continue with meditation, Reiki, and regression therapy… And all this really started with an accident in Hyde Park one morning. Yes, if I ask, (s)he’ll help me get a great parking spot. But I am not really that fussed about parking, usually. I make all sorts of requests, and this takes a lot of stress out of life. It doesn’t matter if you are religious or not, spiritual or not, or use a different concept instead of guardian angel to describe this energy. It works. And another great thing – it can’t be used for evil. These requests are named by Tom Moore (The Gentle Way) as Most Benevolent Outcomes (or MBO’s), and he has a free weekly newsletter, and a blog, and has also written a couple of books. I could give many examples, and there are many more in Tom’s emails. It works also for important things. Sure, I am still waiting for my new BMW, but then I don’t really care that much about it. I came across something like this a few years ago and was using it, but only discovered Tom’s conceptualisation around two years ago. And I’ve been using it every day ever since. So, give it a try. It’s easy, it’s fast, only takes a moment, and it makes your world a nicer place.